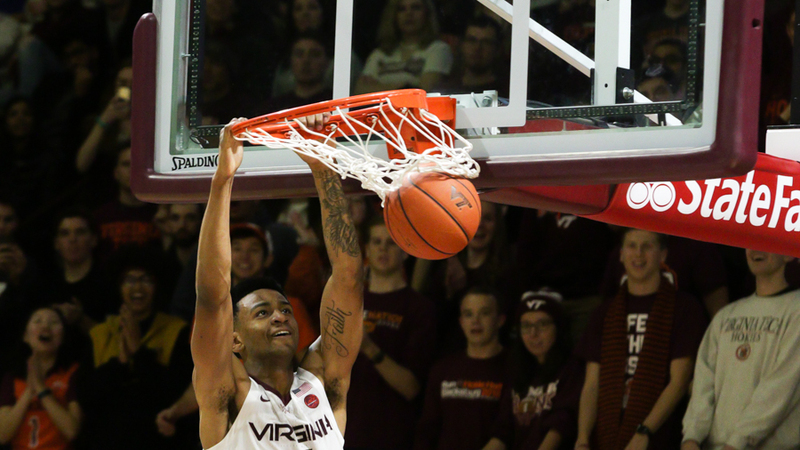 Leading up to Saturday's late afternoon tip against Wake Forest, I worried about the Hokies' ability to bounce back after the drubbing they took a few days earlier in Charlottesville. Sure, Virginia Tech lost to an incredibly talented and fundamentally sound UVa team on the road. But if clips of Wahoos hitting triple after triple weren't haunting your dreams the last few nights, then you're not Buzzketballing hard enough. Tech returned to the friendly confines of Cassell Coliseum, where they were looking to extend their home record to 10-0 to start the season. They faced a Wake Forest team that was coming off an upset win over #17 NC State, but had otherwise struggled this year against P5 competition. In short, it seemed like a good opportunity to right the ship. The way it started, however, was a bit concerning.